Dave Ramsey's advice on mutual funds is fundamentally correct and even wise, but some of his key points, especially on asset allocation and diversification, he gets terribly wrong. 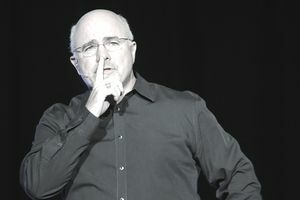 If you've been saving money, trying to get out of debt, or investing in mutual funds, or you just like listening to talk radio, Dave Ramsey needs no introduction. I was an early listener of his personal finance radio show (dating back to the mid-'90s), and I own the first printing of his now famous book "Financial Peace," which remains on my shelf to this day. In fact, Dave deserves credit for helping me understand and enjoy personal finance, which eventually led to my career as an investment adviser. I am now a Certified Financial Planner, and I own a fee-only Registered Investment Advisory firm. This general respect of Dave Ramsey, combined with extensive financial services background and mutual funds expertise, makes me qualified to provide some insight into the best and worst of Dave's investment advice (although he does not technically call it "advice"). Ramsey, the investment advice and financial planning guru, gives his radio show listeners and book readers sage financial planning advice in many ways, but he gives some poor advice on mutual funds. Dave's best value to his audience is that his message is simple, easy to understand, and often entertaining. He also focuses on the psychology of money; Dave knows that an investor's worst enemy is often himself. In my experience, I know that if goals are not attainable and easy to understand, people fail early or they don't even make an attempt to reach a goal. This is true with financial goals, diets, exercise programs, and just about anything that requires motivation, time, and patience. Ignorance and the failure to act are often more dangerous behaviors in personal finance than applying less-than-ideal investment philosophies. Therefore, Dave's simple delivery and his "baby steps" to financial freedom are effective in pointing people in the right general direction, as opposed to much of the complexity and noise in other parts of the financial services universe. However, with regard to mutual funds specifically, Dave Ramsey's investment philosophies border on the dangerous. Mutual fund investors can get some good tips from his talk radio show, but they are wise to understand the difference between entertainment and sound investment practices. Dave Ramsey's Poor Asset Allocation: Where Are the Bonds? One of the most fundamental aspects of asset allocation is to have more than one asset type. Dave Ramsey's four-fund mix includes only one asset type; there are only stock funds, no bond funds or cash (money market or stable value). A portfolio consisting of 100% stocks is simply inappropriate for the vast majority of Dave's audience, and in the opinion of your humble mutual funds guide, an asset allocation of 100% stock funds is wrong for most human beings on the planet. In his mutual fund investment strategy, Dave Ramsey suggests investors to hold four mutual funds in their 401(k) or IRA: one growth fund, one ​growth and income fund, one ​aggressive growth fund, and one ​​international fund. This four-fund mix has great potential for overlap, which occurs when an investor owns two or more mutual funds that hold similar securities. Following Dave's example, imagine an inexperienced investor looking at a 401(k) plan that offers Vanguard mutual funds. A common investment choice is ​the Vanguard S&P 500 Index Fund (VFINX). The beginning investor would not know if this fund was "growth" or "growth and income" or neither. Also, what if another choice in the plan was Vanguard Growth & Income (VQNPX)? Would the investor know if there was overlap? Here's how investors can find out, although Dave might not tell them this. They—or you—can go to Morningstar.com and search for VQNPX. Once on that fund's main page, look for a link to "Ratings and Risk" and click on it. When on that page, scroll down and you'll see something called R-squared and that it is 99. This means that VQNPX has a 99% correlation to the S&P 500 index fund; they are virtually identical. Making things worse, an investor may understandably think any international stock fund won't invest in stock found in their domestic growth or growth and income fund. However, if the fund is categorized as "world stock," it can invest a percentage in U.S. stocks. This creates more overlap—that is, less diversification. In summary, Dave's four-fund mix could potentially have the same diversification as just one or two stock funds. If and when U.S. stock prices fall, an investor's account value could fall much more than if she had a diverse mix of stock funds and bond funds. This kind of loss of account value frustrates investors and makes them stop investing altogether. Where Are the No-Load Funds in Dave Ramsey's Advice? In his investment philosophy, Dave says to use Class A shares (loaded funds), which means the investor pays commissions to a broker or investment adviser (in an IRA or brokerage account). Why wouldn't Dave recommend no-load funds? My first guess is that Dave tells his listeners to use an "Endorsed Local Provider (ELP)." This is a broker or adviser whom Dave recommends, although I suspect these ELPs also advertise on Dave's show. I wonder why he wouldn't help his audience invest for themselves or suggest using a "fee-only" adviser who can recommend no-load funds—an adviser who only gets paid for the unbiased advice they give and not the products they sell? Dave says that investors may need to adjust the aggressive portion of the portfolio if their risk tolerance is low, which means you have a shorter time to keep your money invested. No, the amount of time ​is the investor's time horizon, which is measured from today until to the end of the investment objective ​or savings goal, which has nothing to do with risk tolerance. The true definition of risk tolerance ​refers to the amount of market risk, especially the volatility (ups and downs), an investor can tolerate. An 80-year-old can have a high-risk tolerance and a 20-year-old can have a low-risk tolerance. The amount of risk an investor can tolerate is completely about emotions or feelings, not an amount of time. What Dave Ramsey probably means when he says "risk tolerance" is what I call "risk capacity," which is the amount of risk someone can "afford" to take. For example, even if you consider yourself an aggressive investor (high-risk tolerance), it may not be wise to have 100% of your retirement savings in stocks just one year before you plan to retire. Likewise, if you have 40 years until retirement (long time horizon, high-risk capacity) but you have low-risk tolerance, you won't be served well by putting all of your 401(k) money in a stable value fund. I gave some clues in the first part of this article about how to correct some of Dave Ramsey's bad mutual fund advice. In this second part of our feature, we cover all of the best ideas Dave shares with his audience, along with a few he could do a better job of communicating. Learn how to build a portfolio: Everything from asset allocation to risk tolerance to portfolio strategy is here. If you like all of this information in one place, check out this article. However, if you only need a few pieces, the following links break it down further. Use a core-satellite portfolio design: This mutual fund portfolio structure is just as it sounds. You select a "core" fund and build around it with "satellite" funds. For example, a good core is an S&P 500 Index fund, at around 40% allocation, and other diverse categories, such as foreign stock, small-cap stock, and bond funds, at around 10-20% each. Be sure to use diverse fund categories: This is at the root of the Dave Ramsey portfolio weakness. Dave's four fund categories are all similar in their makeup, which creates a ticking time bomb of poor diversification called overlap. For example, three of the four groups Dave recommends (growth, growth and income, and aggressive growth) could all be large-cap domestic stock funds. This area of the market was one of the worst during the 2007 to 2009 bear market. A diversified portfolio would have prevented this problem. Know the definition of risk tolerance: As I said on page one of this article, Dave is completely wrong on the meaning of low risk tolerance. Time has nothing to do with tolerance. Time is measured in months or years, and tolerance is an attitude, feeling, or emotion about the ups and downs of your account balance. Also, risk tolerance is normally gauged by questionnaires that can arrive at inaccurate results. For example, some of the questions ask how you might feel if you lost 20% of your account value over the course of a few months or a year. What would you do: Sell now, wait and decide later, or do nothing? This is like asking, "What would you do if your best friend was in a car accident: Freak out, stay calm and help her, or call 911?" There's no real way of knowing unless you've recently been in the same situation. Decide an appropriate asset allocation: Once you determine your level of risk tolerance, you can determine your asset allocation, which is the mix of investment assets—stocks, bonds, and cash—that constitutes your portfolio. The proper asset allocation would reflect your level of risk tolerance, which can be described as either aggressive (high tolerance for risk), moderate (medium risk tolerance), or conservative (low risk tolerance). Learn how to choose the best funds for yourself: Dave Ramsey helps beginners at the very minimum by encouraging them to invest in mutual funds, but he gives very little detail about how to choose the best funds. All you really need is a good mutual fund research site, and remember to look for low expense ratios as well as good long-term performance history (at least five years). Also, be sure to use no-load funds, rather than the Class A share (loaded) funds Dave suggests on his website. Aggressive (high-risk) portfolio: This is for investors who have time horizons of 10 or more years and can hold on during periods of extreme volatility in the market. Moderate (medium-risk) portfolio: This is for investors who have time horizons of five or more years and can only tolerate medium swings in account value. Conservative (low-risk) portfolio: This is for investors who have time horizons of three or more years and have low tolerance for fluctuations in account value. Elsewhere on the web, you can check out this article on the blog Bad Money Advice, Ten Things Dave Ramsey Got Wrong. I also recommend reading the comments section of the blog post for more opinions from readers.